Refugee women-at-risk represent a distinct and vulnerable refugee population. We investigated the psychometric properties of the Multidimensional Loss Scale (MLS) with 104 women-at-risk, recently-arrived in Australia. Cross-sectional survey included: the MLS (indexing loss events and loss distress); Harvard Trauma Questionnaire (Indexing Trauma Events and Trauma Symptoms), and; Hopkins Symptom Checklist-37 (indexing anxiety, depression, and somatization symptoms). Exploratory factor analyses of MLS loss distress revealed a six-factor model (loss of symbolic self; loss of home; loss of interdependence; loss of past aspirations; interpersonal loss, and; loss of intrapersonal integrity). Cronbach alphas indicated satisfactory internal consistency for loss events (0.83) and distress (0.88). Correlations supported convergent validity of loss distress with trauma symptoms (r = 0.41) and divergent validity with anxiety (r = 0.09), Depression (r = 0.29), and somatic (r = 0.24) symptoms. 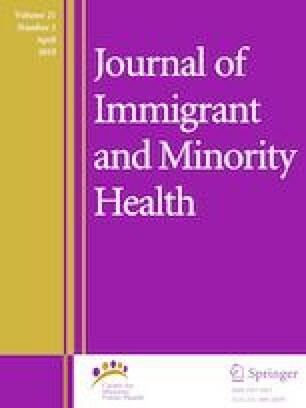 Findings support MLS use in assessment of loss and associated distress with refugee women-at-risk. Funding was provided by Australian Research Council (ARC) Linkage Grant, ACCESS Community Services, and Australian Catholic University (Grant No. LP140100609). United Nations High Commissioner for Refugees: UNHCR’s Strategic directions 2017–2021. Geneva: UNHCR; 2017. http://www.unhcr.org/en-au/excom/announce/5894558d4/unhcrs-strategic-directions-2017-2021.html Accessed 17 Jan 2017. Oxford University Press: the Oxford English Dictionary online; Oxford University Press; 2017 http://www.oed.com.ezp01.library.qut.edu.au/view/Entry/110192?rskey=s3LT42&result=2#eid Accessed 23 October 2017. United Nations High Commissioner for Refugees: Conclusion on Refugee Women. No. 60 (XL). Geneva: UNHCR; 1989. http://www.unhcr.org/protection/resettlement/51de6e929/resettlement-women-risk-risk-reduced-unhcr-usa.html Accessed 19 June 2016. United Nations High Commissioner for Refugees: Proposed executive committee conclusion on women at risk: Follow-up paper. Geneva: UNHCR; 2006. http://www.unhcr.org/excom/icm/45082362c/proposed-executive-committee-conclusion-women-risk-follow-up-paper.html Accessed 19 June 2016. United Nations High Commissioner for Refugees: UNHCR Resettlement Handbook. Geneva: UNHCR; 2011. http://www.unhcr.org/protection/resettlement/3d464e842/unhcr-resettlement-handbook-chapter-6-unhcr-resettlement-submission-categories.html Accessed 29 March 2017. Fabrigar LR, Wegener D: Exploratory factor analysis. Oxford University Press; 2012 https://qut.primo.exlibrisgroup.com/discovery/fulldisplay?docid=alma991000894799704001&context=L&vid=61QUT_INST:61QUT&lang=en&search_scope=MyInst_and_CI&adaptor=Local%20Search%20Engine&tab=Everything&query=any,contains,exploratory%20factor%20analysis%20fabrigar%20and%20wegener&sortby=rank&offset=0. Accessed 18 May 2018.